Song of the day: Scantharies – "I’ve Got The Green Light And I’m Ready To Go"
Way, way back in September (i.e., waaaaay back) I played you a groovy little instrumental pop number by British band/person The Scantharies (it’s actually one man, Andy Dragazis). Well, The Scantharies has just released its/his self-titled debut album. The track I played you waaay back in September is on the album, and so is the track I’m playing you today. Before we get to the track, I feel the need to warn you let you know that the entire album is instrumental. So if you’re allergic to songs without singing in them, please look away now. Song of the day: The Scantharies – "The Start"
And there I was, thinking the art of instrumental pop was dead. I received an email from Memphis Industries (I’m on their mailing list because one of their artists is my favourite active* band of the 21st century, Field Music). The email mentioned a band called The Scantharies (no, I have no idea what “scantharies” means either) and a track from their upcoming self-titled debut album. The track is called “The Start”, and I like it a lot. So I’m going to pester you with it. 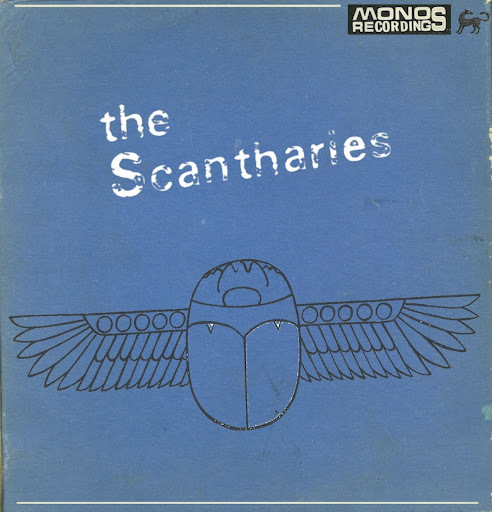 The Scantharies describes that song as “alternative greek instrumental”. Fair enough. I guess that’s as good a description as any. I’d call it “groovy instrumental pop”. By the way, that’s a free download. You are currently browsing the archives for the Scantharies category.